ABAA develops specifications for projects in the Master Specifications Format. 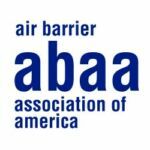 Specifications have been developed for a wide range of air barrier materials; which ABAA has developed criteria for the evaluation of a material, accessory, or component. Specifications have been developed for the major building assemblies – wall, roof and foundation. ABAA has also developed a Division 1 Specification which provides administrative and procedural requirements for; specifying an airtight building enclosure that controls infiltration or exfiltration of air, inspection and testing services required to verify compliance, necessary information for the coordination between subcontractors, customized fabrication and installation procedures, not production of standard products. Please note that the information provided in ABAA Master Specifications, based on current customs and practices of the trade, is offered in good faith and believed to be true, but is made WITHOUT WARRANTY, EITHER EXPRESS OR IMPLIED, AS TO FITNESS, MERCHANTABILITY, and OR ANY OTHER MATTER. ABAA DISCLAIMS ALL LIABILITY FOR ANY LOSS OR DAMAGE ARISING OUT OF ITS USE. Individual manufacturers and contractors should be consulted for specific information. Nominal values which may be provided herein are believed to be representative, but are not to be used as specifications nor assumed to be identical to finished products. ABAA does not endorse the proprietary products or processes of any individual manufacturer, or the services of any individual contractor. LOOKING FOR AIR BARRIER CODES INFORMATION?